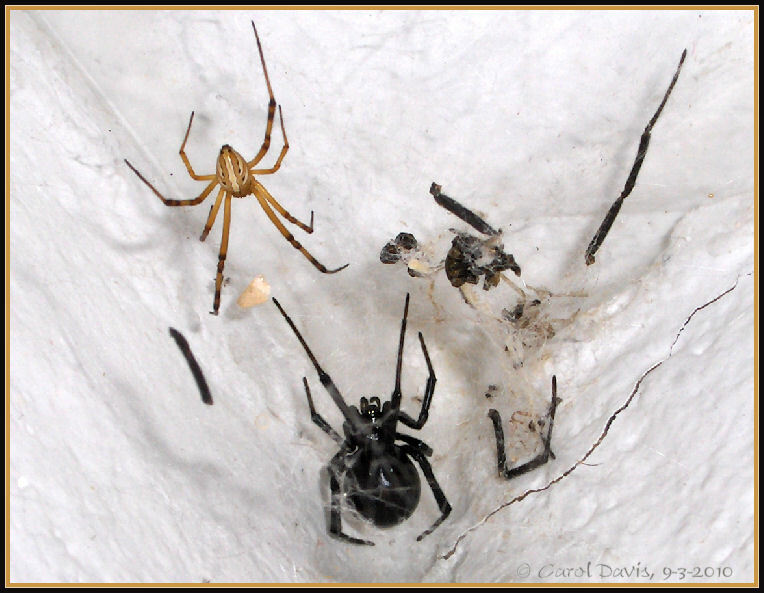 It's not often that I find the male and female lounging together in the web but it's nice to see. There are times they do get along! myself with my hand in the outer reaches of a web taking pictures of resting black widows, I think "now why am I doing this?" Believe me, I've seen how fast the widows can move so I keep my eye on the spiders and my gear shift in "VROOOOOOM!"